In the world of wristwatches, there are watches for watch people, watches for fashion people, and watches for people who just want to know the time. There’s a niche, a style and a price point for everyone, and no two people have the same taste or interest when it comes to wristwatches. Calvin Klein watches fall into the fashion category, and that’s where a lot of people will automatically wince and turn away. That’s understandable; many so-called “fashion” watches are poorly made and exist only so the company selling them can have watches among their accessories. That’s not the case here; they’re well made, offer some interesting and diverse styling and are available at a price point that makes them affordable. Read on for the full Calvin Klein watches review. It won’t surprise you to discover that these watches aren’t built in-house; after all, few fashion brands either build or design their own watches. 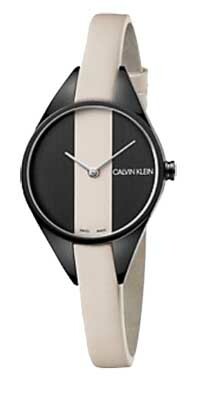 Calvin Klein watches are manufactured by the Swatch Group, and are Swiss-made and have Swiss movements. Swatch has a history of making affordable and reliable timepieces. Models feature stainless steel cases, leather, fabric or stainless steel bracelets, and mineral crystal to protect the watch face. Water resistance is adequate, but not outrageous; most models are rated at 30 meters of water resistance. Overall, the build quality is quite good. 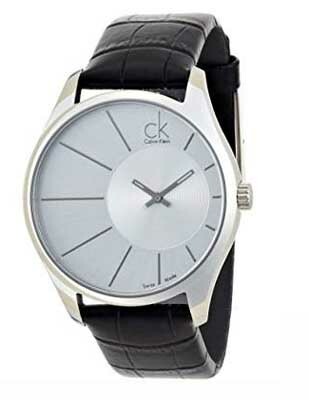 As far as we know, all Calvin Klein watches feature Swiss-made quartz electronic movements. Quartz movements are accurate and reliable, and offer the benefit of not requiring much in the way of maintenance. You’re not going to find any technical innovation in Calvin Klein watches; after all, these are fashion watches, designed as accessories. That means that you’re not going to find any cutting edge features or technology. You will, however, find models with date complications and a few models that are functioning chronographs. The styling is quite diverse; the company has more than 100 models and makes watches for both men and women. Styles range from the edgy to the austere, with models that are suitable for a day at the mall to a meeting to discuss a corporate takeover. You won’t find precious metals or gemstones here, but you will find oddly shaped bracelets, watch cases that aren’t round, and a lot of color. Sure, the blacks, whites, golds and silvers that everyone makes are there, but you’ll also find red, blue, orange, and pink, among other colors. 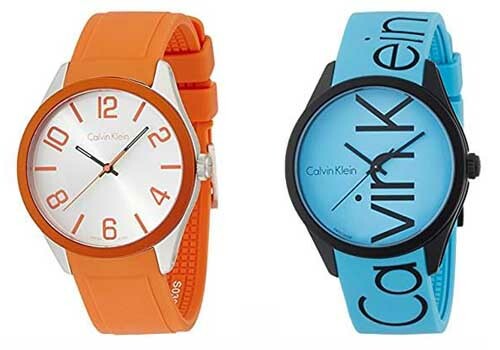 There’s a lot to choose from in the Calvin Klein watches line, and they’ve likely got a style to suit anyone’s taste, from a traditional time-only men’s watch with a stainless steel bracelet to the edgy women’s “incline” model. We even saw at least one model with a digital display, though nearly all of the product line has traditional analog hands. You won’t have to do much to maintain these watches; they’re all powered by highly reliable, Swiss-made quartz electronic movements. You will need to have the battery replaced every few years. Aside from that, you should keep your watch away from extremes of temperature or strong magnetic fields, as these can be harmful. With proper care, you’ll find that your watch will run well for years to come. The warranty offered is the industry standard of two years. The company warrants their product to be free from defects in materials and craftsmanship for two years from the date of purchase. These watches are well-tested at the factory, so defects are likely quite rare. Probably nine out of ten watch companies offer a two year warranty, so that puts Calvin Klein watches in the same league as Rolex when it comes to a product warranty. As designer watches go, you’ll find that the prices are quite reasonable. In a world where you can pay thousands of dollars for a name brand timepiece, you’ll discover that Calvin Klein watches have a price range that starts at about $100 and runs up to $500 or so. Models come and go in the product line and we’ve seen some models offered elsewhere at prices that were both higher and lower than that range. You can find this brand for sale at a number of retailers, both online and off. You’ll likely find them for sale at most large stores that carry the brand, but you’ll be less likely to find them at specialty watch shops. You can also find them for sale at a number of online retailers, including Amazon. Shopping online may be the best way to buy discount Calvin Klein watches, so if you’re looking for a bargain, you’ll likely find it online. You can also buy them at the company Website, though they only offer current models from their product line. For discontinued models that are still available, you may wish to check with other online merchants. A lot of fashion brands also include wristwatches among their accessories, and many of them aren’t very attractive, aren’t very well made and aren’t very interesting. On top of that, many of them are still quite expensive. That’s not the case with this brand; they’re well made, being made in Switzerland by Swatch and feature Swiss movements. The build quality is good, the prices are quite reasonable as fashion watches go, and the selection is both interesting and diverse. They make a number of models for both men and women, and you’ll find that these watches offer something for all occasions and styles that will likely suit just about anyone’s taste. 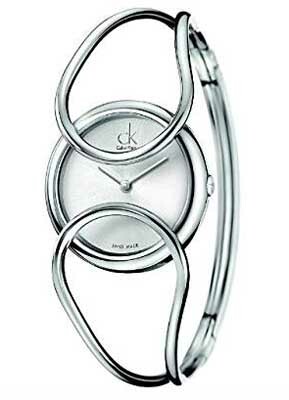 All in all, Calvin Klein watches offer a good combination of quality, style, and price.